The sun glared while smoke from the nearby Pioneer Fire pumped 30,000 feet into the atmosphere, and 50 people crowded onto the willowy bank of the Salmon River where they peered through polarized lenses. The river flowed almost delicately over shallow cobbles near Buckhorn Bridge, a little south of Highway 75 in the Sawtooth Valley. But it was easy to see why people stared so intently at the passing river. Big shadows lurked just beneath the water’s surface, an occasional dorsal fin breaking the reflective shine. Stuart, an IRU board member and the leader of the day’s chinook salmon spawning tour, said chinook, sockeye and steelhead used to number in the millions in central Idaho. Now, in an era following construction of dams on the Columbia and lower Snake rivers, wild chinook number in the tens of thousands, and are listed as a federally endangered species. The tour was part of the Sawtooth Salmon Festival, an event hosted cooperatively by IRU and the Sawtooth Interpretive and Historical Association. It's held every year in late-August to bring further awareness to the plight of these struggling fish—and to encourage people to take action to help shape the politics that have, thus far, done too little to reverse the species’ decline. 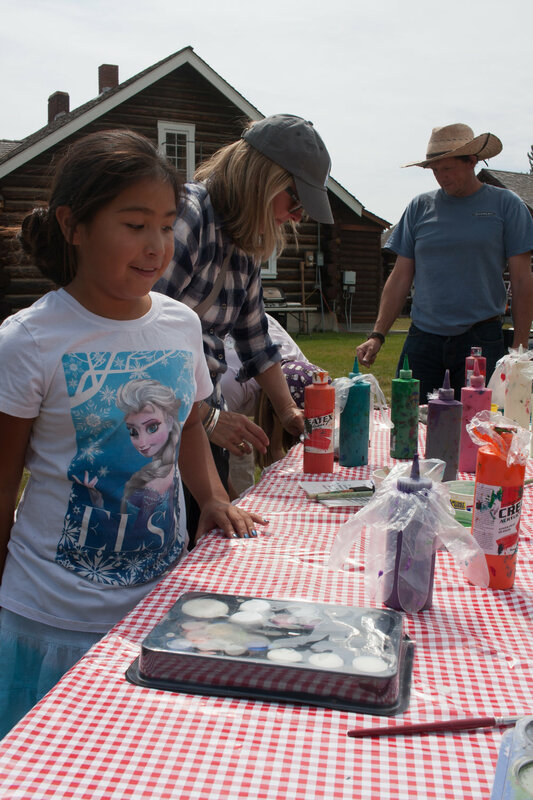 This year’s Salmon Festival was held Aug. 27 at the Sawtooth Interpretive and Historical Association’s Stanley grounds, and it brought the story of wild salmon to hundreds of people throughout the day. With help from Idaho Department of Fish and Game biologists, a tour was led to Redfish Lake Creek to view sockeye salmon—the extremely endangered red fish of Redfish Lake. And three tours were led to the wild chinook spawning grounds near Buckhorn Bridge on the Salmon River. But beyond valuable education and celebration of Idaho’s iconic anadromous fish, the Sawtooth Salmon Festival was an opportunity for folks to kick up their heels, connect with old friends and enjoy Idaho’s breathtaking views. The festival attracted the talents of musician Scott Knickerbocker of the Hokum Hi Flyers and the amazing Native American rhythms of Shoshone-Bannock drummers and dancers. 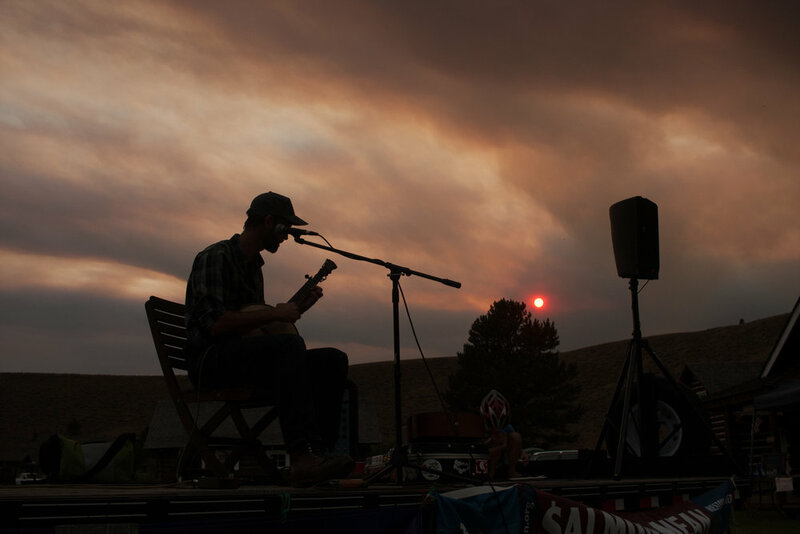 The following people and organizations helped make the 2016 Sawtooth Salmon Festival a success: Sawtooth Interpretive and Historical Association; The Redd Restaurant; Idaho Department of Fish and Game; Atkinsons’ Markets; Payette Brewing; Scott Knickerbocker; Shoshone-Bannock Tribes; The River Co.; Idaho Wildlife Federation; Wood River Land Trust; Sawtooth National Recreation Area and the dozens of volunteers and board members who helped set up, break down, and otherwise add their contagious spirit to the day's festivities.